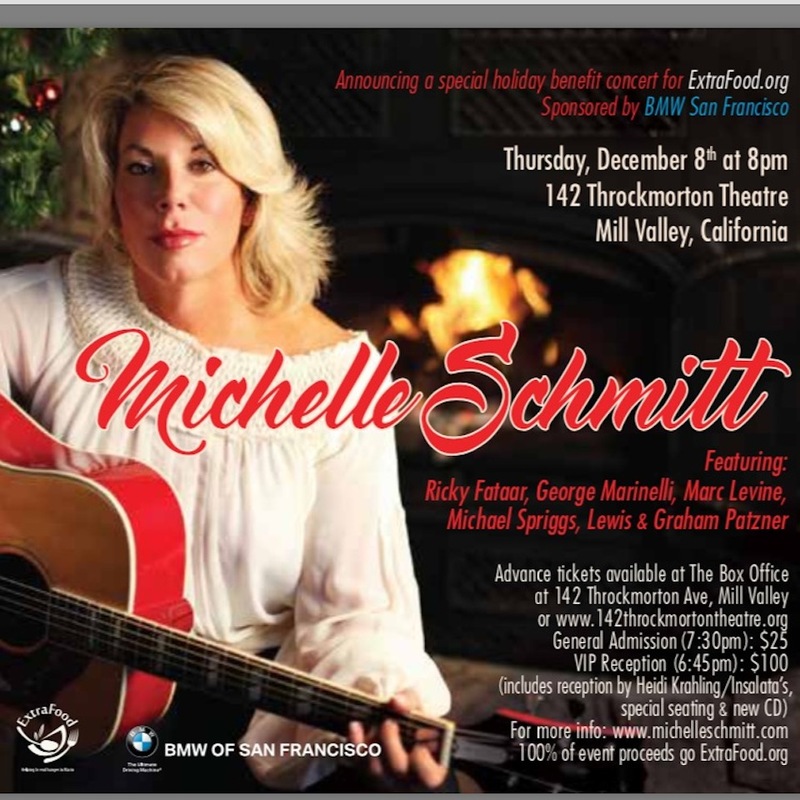 ​The wonderfully talented and extraordinarily generous Michelle Schmitt will have her annual benefit concert for ExtraFood on Thursday, December 8th at the 142 Throckmorton Theatre. Featuring members of Bonnie Raitt's band, Michelle will play songs from her new CD, "Christmas Gifts," as well as songs from her very extensive back catalog of gems. 100% of the proceeds from the evening -- ticket sales and CD sales -- will benefit ExtraFood.org. $25 General Admission tickets include Michelle's new CD; doors open at 7:30pm. • the knowledge that you're doing even more to help ExtraFood get more food to more people in need. This show always sells out, so please buy your tickets now! You can get them here. Thank you!